Indus Miniatures will have themselves a Black Friday sale over in their webshop. We are offering 20% off all codes now through 12/5/13. Hope everyone has a great holiday. 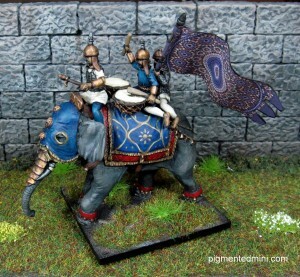 Indus Miniatures has new elephants miniatures over in their webshop. All you Romans better be on the lookout. Indus miniatures has released there first series of elephants. Their are two resin bodies and two resin heads so you mix and match. The crew will sold individually so you can create your own. 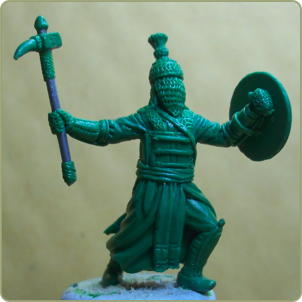 Indus Miniatures has new Ghazi miniatures available over in their webshop. These sculpts are meant to represent Muslim warriors called Ghazi's. They were mostly of Arab, Turkish, Persian and Afghan origin. They were used as raiding parties to demoralize the enemy. The can be also used as fanatics. They can be used from 1500 till 1900. Indus Miniatures is having themselves a sale in honor of their 2-year anniversary. Indus Miniatures has several new squads of infantry available now on their website. 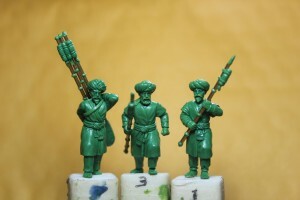 Indus miniatures has just released Baluchi tribesmen. These can used for any wars in India from 1500- 1900. They can also be used for Darkest Africa or Pulp adventures. Indus Miniatures didn't want to wait until the pumpkin pie was digesting to start their Black Friday sales. So, they started early. Black Friday comes early to Indus miniatures. Everything in the store is 20% off through 11/30. Just use coupon code "nov20" at check out. Indus Miniatures is offering free shipping for orders over $30 for the whole month of September. Free shipping on all orders over $30 for the month of September at Indus miniatures. This includes all US and overseas shipments. Also sign up for the email news letter to stay up to date with the latest releases and sales. 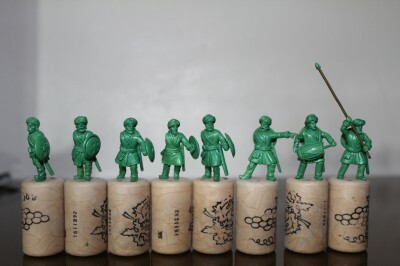 Indus Miniatures has released some new Indian Rocket Men over on their sight, burning out their fuse up here alone. Indus miniatures releases Indian Rocket men. These can be used through out India from teh 1600's through the 1700's. They were used against European armies as well during this time. They would also be interesting additions for Pulp or Imagination armies. Indus Miniatures have new Indian Infantry 10-packs as well as new Indian Command units. 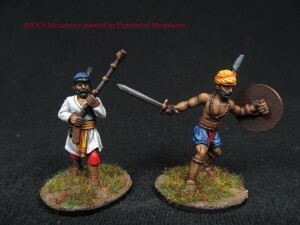 Indus miniatures releases multi part Indian Infantry . These figures can be used from 1600 all the way through the Indian Mutiny. They come with arm and shield options. They can also be used for any Pulp or Imaginations army. Indus Miniatures has some new French and British Sepoy models to add to your collection. 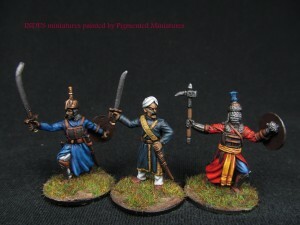 Indus miniatures is developing multi part Infantry for India that can be used from the 1700's through the 1800's. They can used for Palssy, Assaye, Indian Mutiny, Imaginations, Pulp gaming...what ever you decide. The Shields are optional and the right arms can be positioned how ever you desire. INDUS Miniatures releases new miniatures, including a cannon, its crew and a bodyguard. Indus miniatures has just released two Indian cannons with crew. These can used from the 1700's all the way through the 1800's. Also released were Silaposh Bodyguards - these were picked men of the Indian Raja's. These can be used for actions during the 1700's. INDUS miniatures is having a 20% sale on everything in the store good through 11/28 midnight EST. Just use the coupon code on the website. 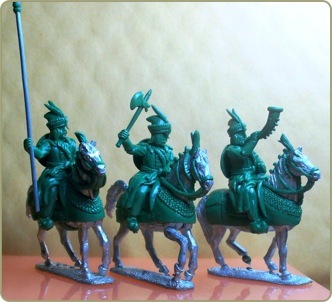 Indus Miniatures releases new 28mm Indian Calvary models on their website. INDUS miniatures releases Indian Irregular cavalry or Pindari. These are meant to represent the Irregular cavalry that fought in the various wars through out India. They would have served in the armies of the various Princes, Mughals, Europeans, Sikhs etc. They can be used from 1650 -1850's. INDUS Miniatures releases "The Marathas" of India. The Maratha Confederacy was an Indian imperial power that existed from 1674 and 1818. It was founded by Shivaji. He waged war with the Mughals for 27 years from 1681 to 1707. The longest war ever waged in India. They also fought three wars with the British.